After reading Kipling's story, The Gardener, I was curious about the verses that he used as the epigraph at the beginning. It was the last verse of this poem, The Burden. The story is about a woman who brings up her nephew & sees him go off to war. He's killed &, after the war is over, she goes to Belgium to see his grave. 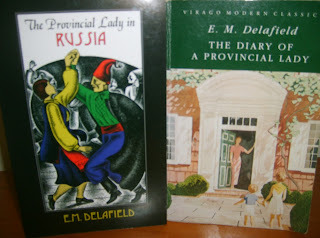 It's a beautiful story, the prose is very spare & simple. It's even more poignant when you realise that Kipling was involved in the work of the Commonwealth War Graves Commission & composed the epitaph engraved on the graves of unidentified soldiers, A Soldier of the Great War, known unto God. Kipling's own son, John, was listed as missing after the battle of Loos in 1915 & his body was never found. The relevance of the verse Kipling used for his story, with its reference to the Gospel story of Mary Magdalene's visit to Christ's tomb on Easter Sunday & her conversation with the gardener she meets there, only becomes clear at the end of the story. You can read The Gardener here. Where is there greater pain? Where can be greater pain? Probably my favorite short story. So beautiful. 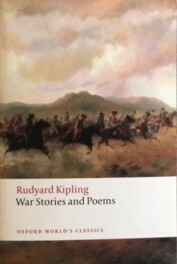 It's made me want to read more Kipling. This really captures heartbreak, loss and bereavement in the most devastating way, and it's particularly poignant to read with Kipling's own tragedy in mind. Yes, definitely a case where knowing about the author's life adds so much to the reading experience.